Since one of the central game mechanics will be the ability to build vehicles and then pilot/drive them, and use them in combat, it seems sensible to provide some bounds on the abilities of the vehicles (at least by default) to help server administrators maintain a reasonable environment (at least by default). My proposal is that in the default combat game mode, the following rules (or a variant thereof) be applied in determining the technological capabilities of a user-constructed vehicle (to avoid the 2x4 flying carpet with MASSSIVE LAZ0RZ and 31337^31337 health in your average game where most people would prefer to be building AT-ATs, snubfighters, capital ships, whatever). I'm sure there are server administrators among us who would be intensely amused to provide infinite awesome to flying carpet kid, and it's their prerogative to do so. To that end, I am considering that the formula above should be scalable by a factor determined by the technologies involved in building the ship. Server operators would be able to configure various tech definitions, and choose which to enable for a given game (or on a per-user basis, trusted users getting access higher technology). Investments of awesome would be scaled by a factor related to the technology they have selected. Additionally, each user would be allotted "magic points" which would slowly accumulate over time. If they choose to imbue some of their magical properties in a creation, that would increase the awesome points available for customizing that creation, but in doing so they would drain their magic store. Like with tech, individual server operators would have the ability to limit (or disable) the use of magic on their server. This could take the form of limiting the total magic points which a particular user could accumulate (with separate limits for different classes of users, again based on permissions), or placing a cap on the total amount of magic that can be spent customizing any one item. I'm not really a fan of the magic points but the rest of it sounds pretty good, though at a the same time it worries me that this might be an over complicated solution to the problem. My thought would be have preset bases with x weapon mounts and X health and speed no matter what is put on them may be a simpler solution, but limits what kinds of vehicles can be built since you have to use a pre-setup base. Edit: Another thought would be to have each base have X amount of Power then the builder can allocate that to engines and weapons. Defense would be determined by the weight of bricks on the platform and speed would be engine power minus a weight factor. That gives players many different configurations for each base platform while still making it rather trivial to handle the calculations once the ship is considered complete. I also am not a fan of any fantasy-oriented functionality like magic, absolutely. I agree with Jon on the vehicle building restrictions. Also, Elfprince, what does this have to do with trains? If we can build traincars, then that would be a dream come true for me. Edit: Jonimus, that's perfect! I definitely second that. If you wanted to add more complexity you could also add a shield mechanic that recharges based on leftover power from the weapons and engines, but that may be overkill. I also am not a fan of any fantasy-oriented functionality like magic, absolutely. I don't want to leave Narnia/LoTR/Castle/Harry Potter/whatever fanatics out in the cold. Allowing both fantasy and sci-fi based functionality allows the server operators to customize the game for the experience they want. though at a the same time it worries me that this might be an over complicated solution to the problem. My thought would be have preset bases with x weapon mounts and X health and speed no matter what is put on them may be a simpler solution, but limits what kinds of vehicles can be built since you have to use a pre-setup base. I agree with Jon on the vehicle building restrictions. The problem with the first suggestion is that it doesn't allow for the sort of customization and freedom I'm hoping for. The problem with the second is that it doesn't prevent the magic-carpet scenario above. I certainly agree that the complexity is greater than with the solutions Jonimus proposed; however, most of the calculations needed will probably end up being performed anyway to generate the collision meshes (and to rig mechs). Also, Elfprince, what does this have to do with trains? If we can build traincars, then that would be a dream come true for me. Train cars will absolutely be buildable once I hash out the vehicularization process. The rest of this doesn't apply that much unless you plan to weaponize the train. When I was thinking about this and making my post above, I wondered what weaponized trains would be like. 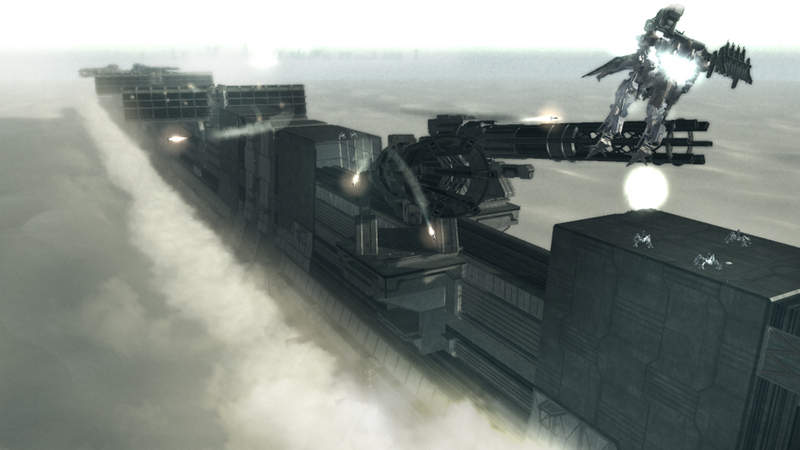 Certainly turrets mounted on trains would be epic awesome, but that's probably a concern further in the future. In my opinion it's the hosts responsibility to keep the server and it's visitors under control. If this gets included in the game it should be disabled by default. Sure, I agree (or to give the visitors more freedoms, depending on how much the administrator trusts them), but I believe it behooves the developers to offer a decent set of limitations and tools for administrators to apply. I don't much care what the defaults are(although I'd love to tweak the formulas, even at a script-level) as long as all of this can be disabled for free builds. Simply requiring administrator approval to weaponize a vehicle would be a good enough option for me. I for one am looking forward to this. I think that should be do-able with the constraints available by way of Bullet, and probably even a bit easier than what I'm envisioning will be required to allow the building of mechs. This is more for combat/structured play modes than for pure free building modes, but like everything else in FreeBuild, it will be designed to be moddable. Glad to hear it! Me too! What I'm not looking forward to is the grunt programming left to do before I get to this. I just wanted to document my thoughts for later. Even combat oriented play could have a simple mode that just requires admin approval of whatever weapon layout a player tries to add to their ship/tank/warplane/flying fortress/boat/starfighter/etc. This is definitely a possibility, but I don't think most admins would want to be interrupted from a dog-fight or a shoot out to approve someone else's build. Hence the desirability of an automated system that provides some reasonable default restrictions, but which can be lifted if they are undesirable. I see the point in trying to avoid flying carpets of doom, but that's exactly what my second option was intended to do, the if they make just a carpet with weapons+ propulsion they end up with no defense and their guy will be unprotected. so just shoot the pilot and your done. IMO rather than try to make it so they cannot build a Flying carpet my thought was to make it impossible for said vehicle to be any good. If you want something with only a chair and guns let it DIAF from one hit or some similar setup. I suppose that's a reasonable compromise, but I'm curious what you think about scalability of that strategy for small vs capital ships? Numbers would require tweaking to figure out what ratios would be good on power vs speed and defense would work, but for big ships you just give them more power but make sure their speed is much more limiting so while they can blast the heck out of the little guys, providing they can actually hit them. I really don't see why it wouldn't scale well as long the numbers are scaled well. Not to derail (ick, my apologies for the pun) the thread, but here's a weaponized train. We now return to your regularly scheduled topic. Well you generally aren't building AND fighting at the same time. I do one and then the other. Now if you're looking to do both at the same time(like to rebuild and re-equip destroyed ships) your system would clearly be the best. Just to double-check, will Freebuild have some kind of copy-paste, like the old iGob? If I make a cool train car, I'm definitely going to want to be able to resurrect it and 50 copies at a moment's notice. The current Free build has the iGob, so I would assume they'd keep it, or rework it to be even better. Hell, calc84maniac made a multi-axis iGob rotator that was to be exclusive to Freebuild. There are 266 users online: 8 members and 258 guests. © Copyright 2000-2019 Cemetech & Christopher Mitchell :: Page Execution Time: 0.102903 seconds.